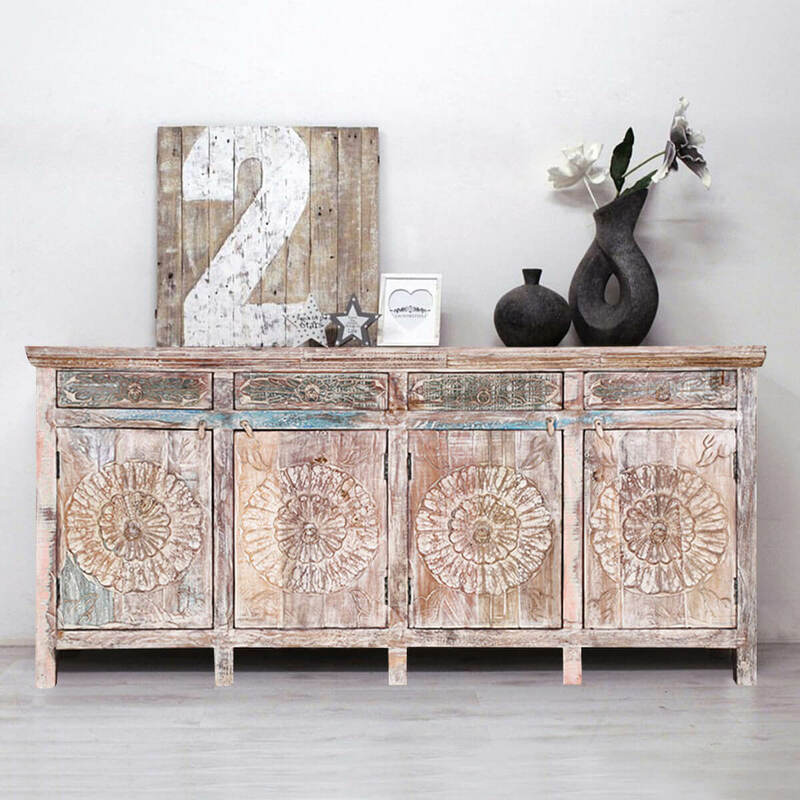 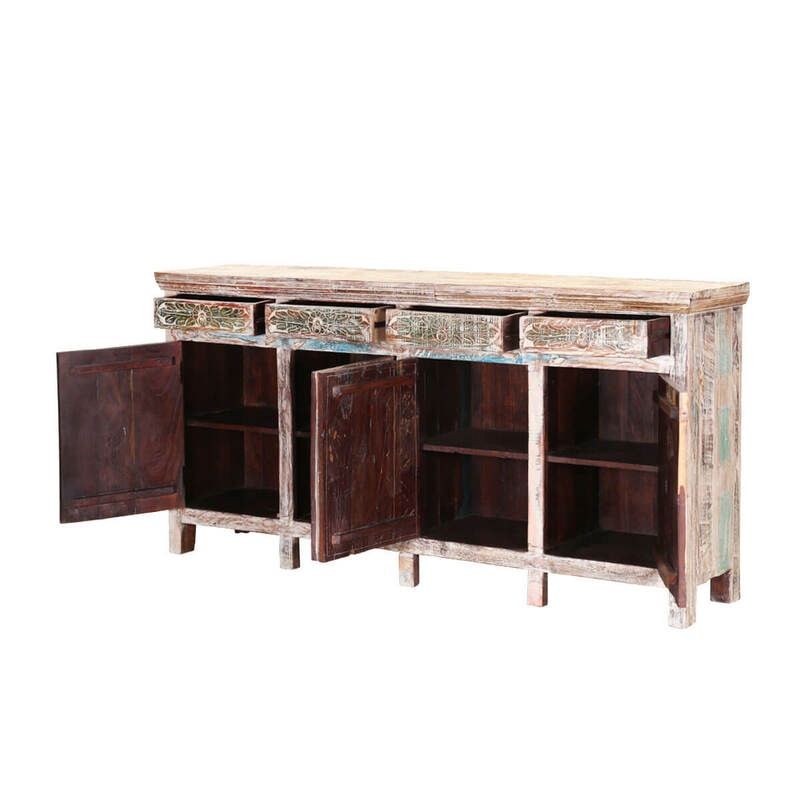 The Arvada Primitive Hand Carved Rustic Reclaimed Wood 4 Drawer Large Sideboard Cabinet makes a lovely addition to eclectic dining spaces. 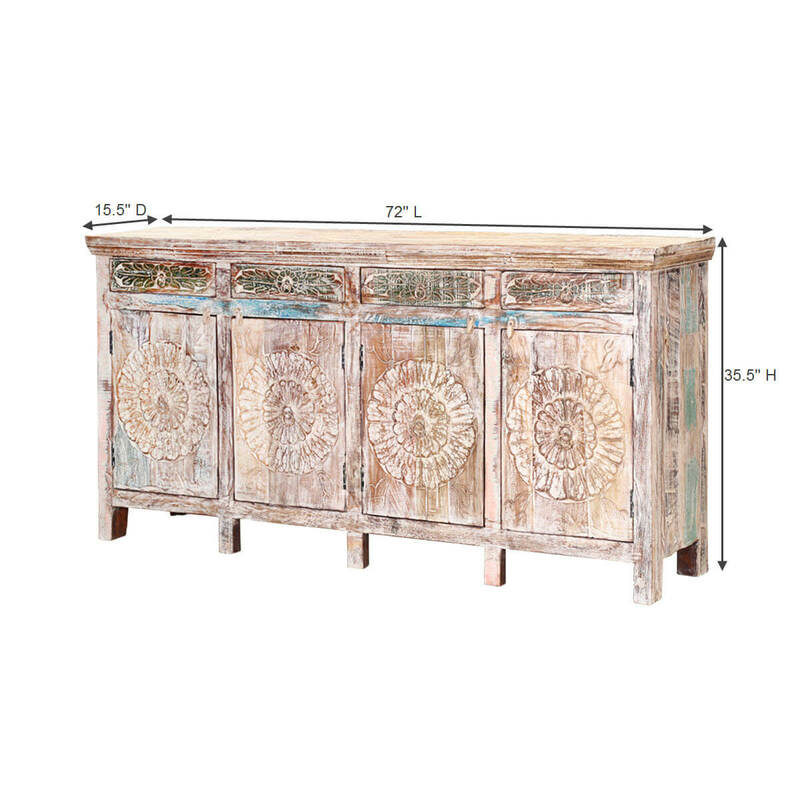 It comes beautifully embellished by hand with decorative medallions carved into each of its four doors. 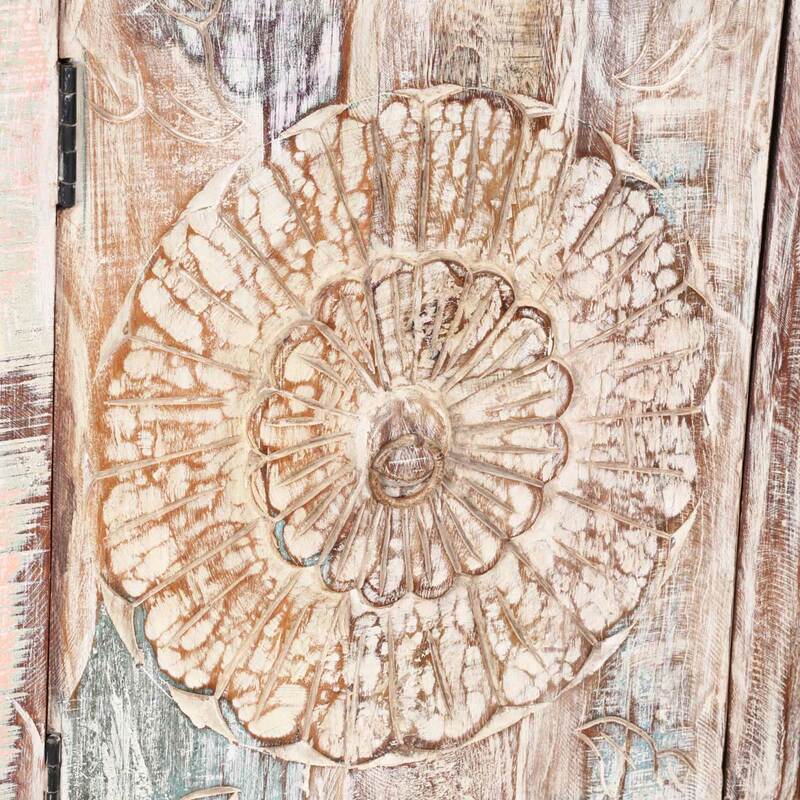 The buffet’s façade additionally features a rough-hewn texture innate to the reclaimed wood used to create it. 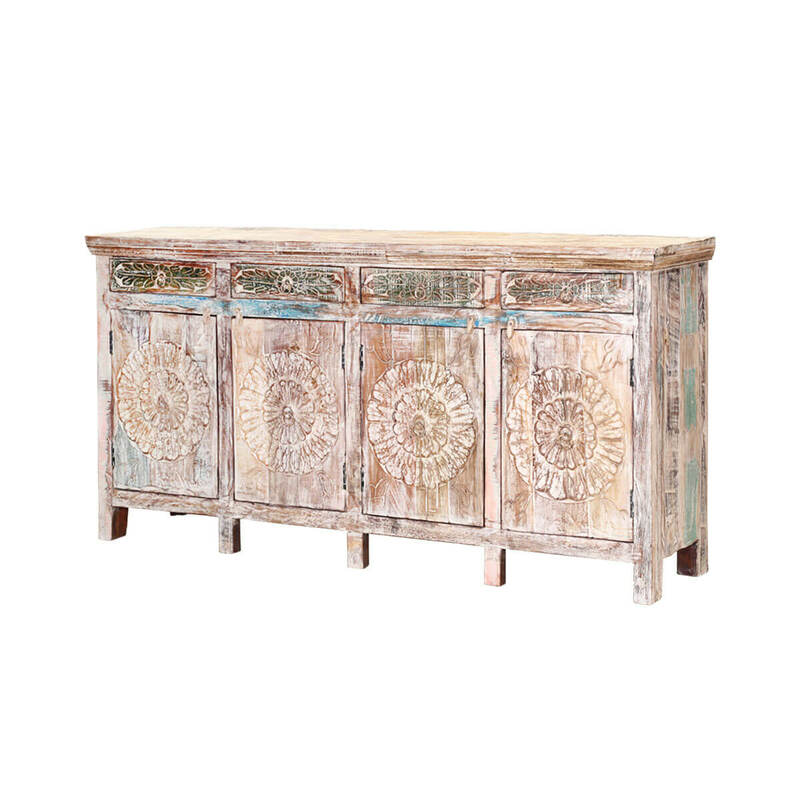 The meticulous handcrafting is evident in every aspect of this pretty and purposeful piece. 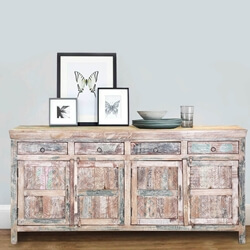 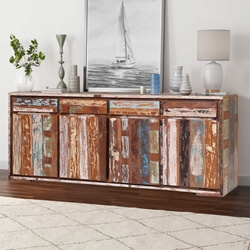 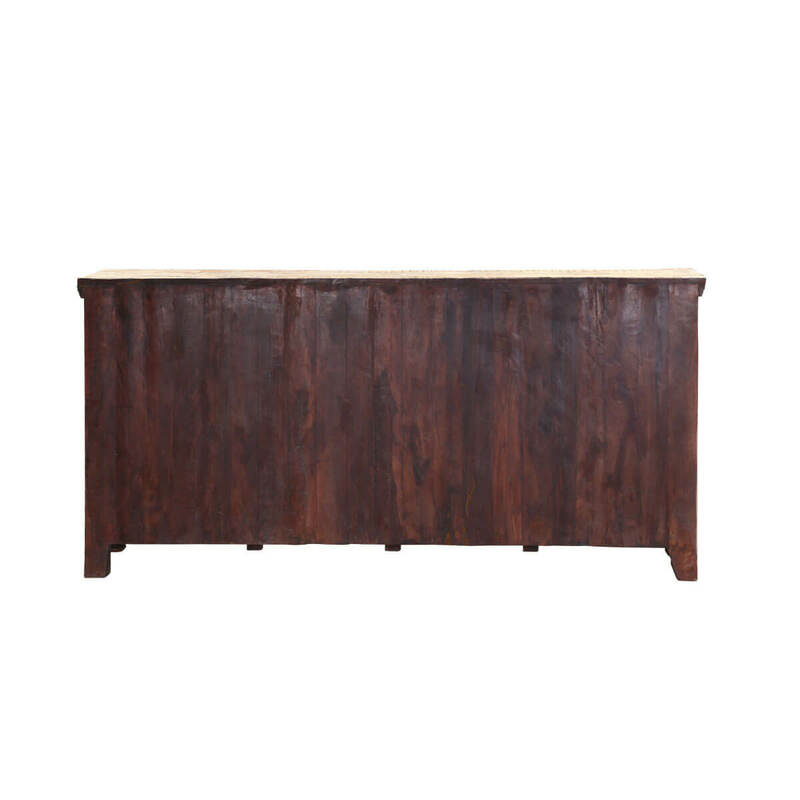 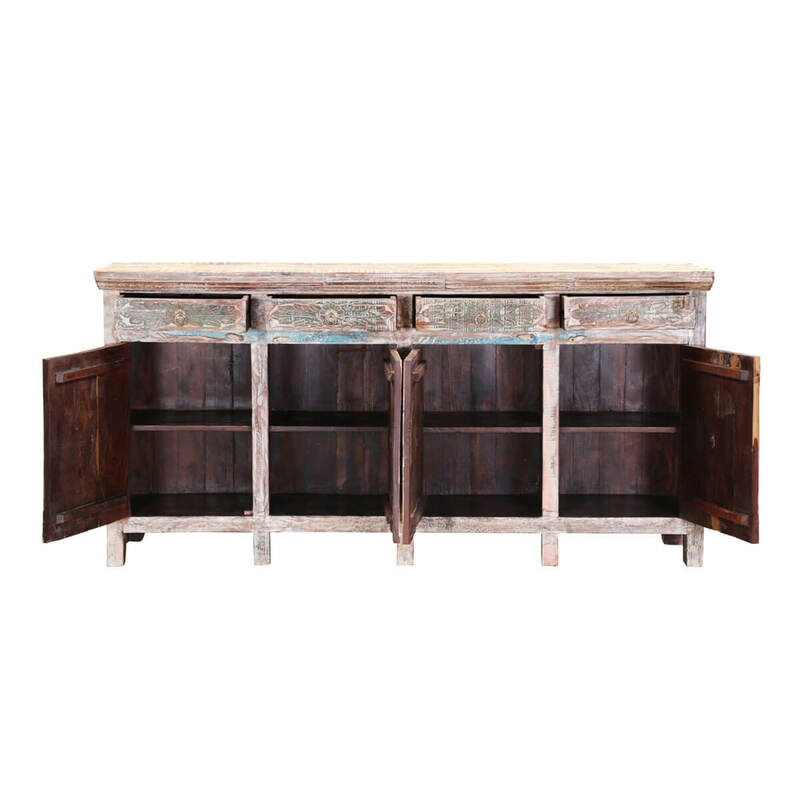 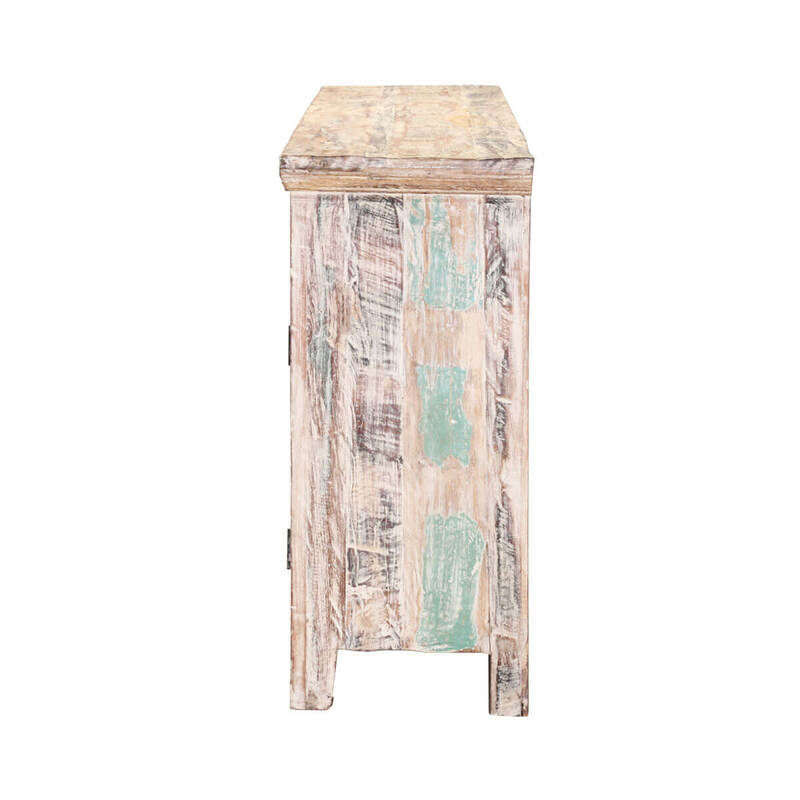 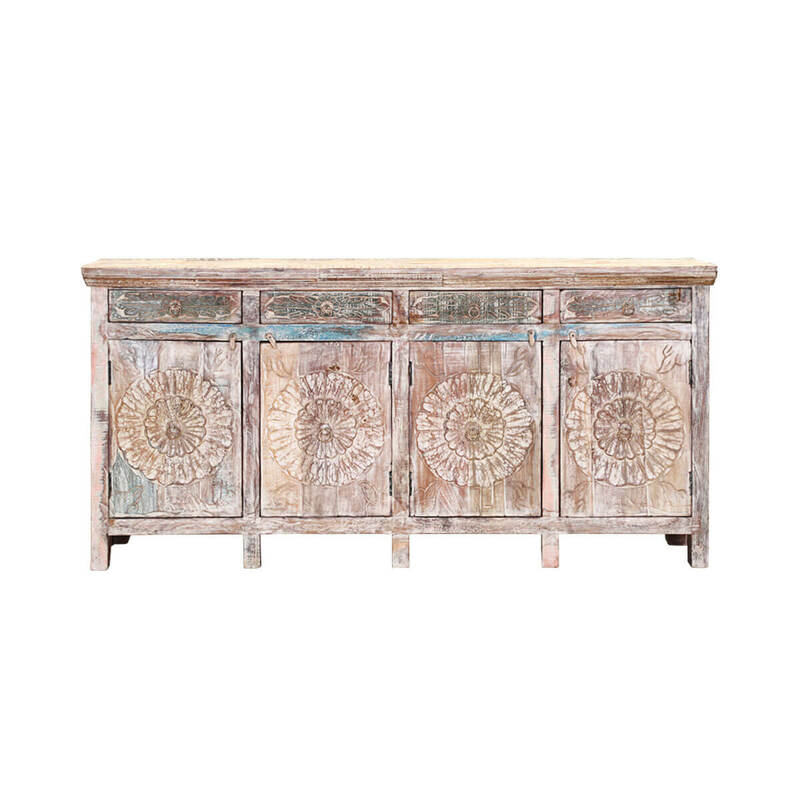 Measuring nearly 72 inches in length, this roomy reclaimed wood sideboard buffet offers plenty of storage. 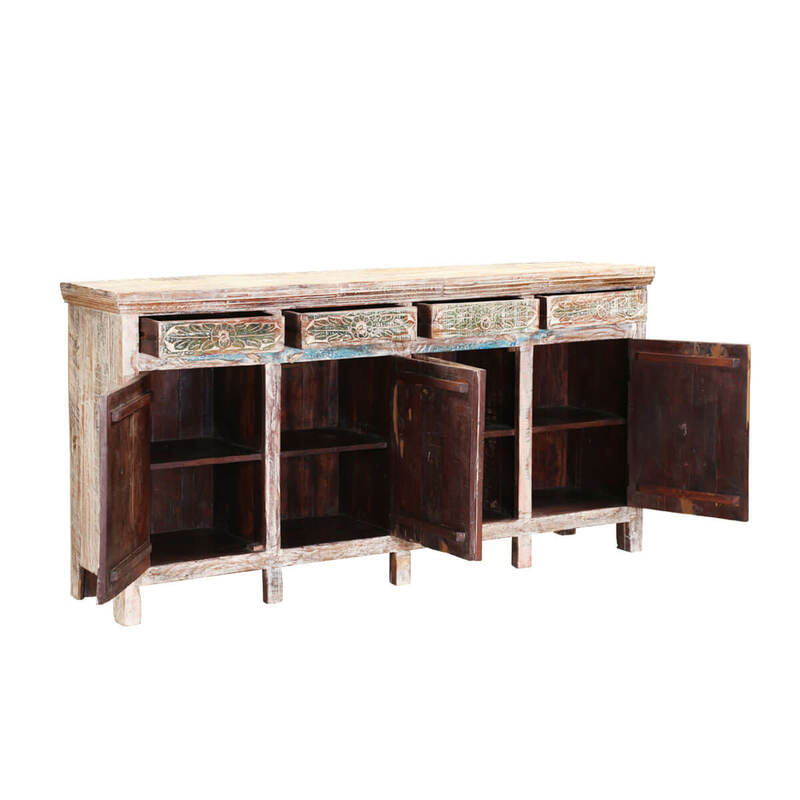 It features four cupboards secured behind four doors offering ample space to store all of your linens, serve ware, candlesticks and more. 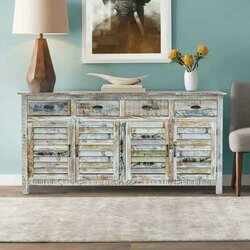 Four roomy drawers offer an additional layer of storage for flatware, napkins, tea lights and more. 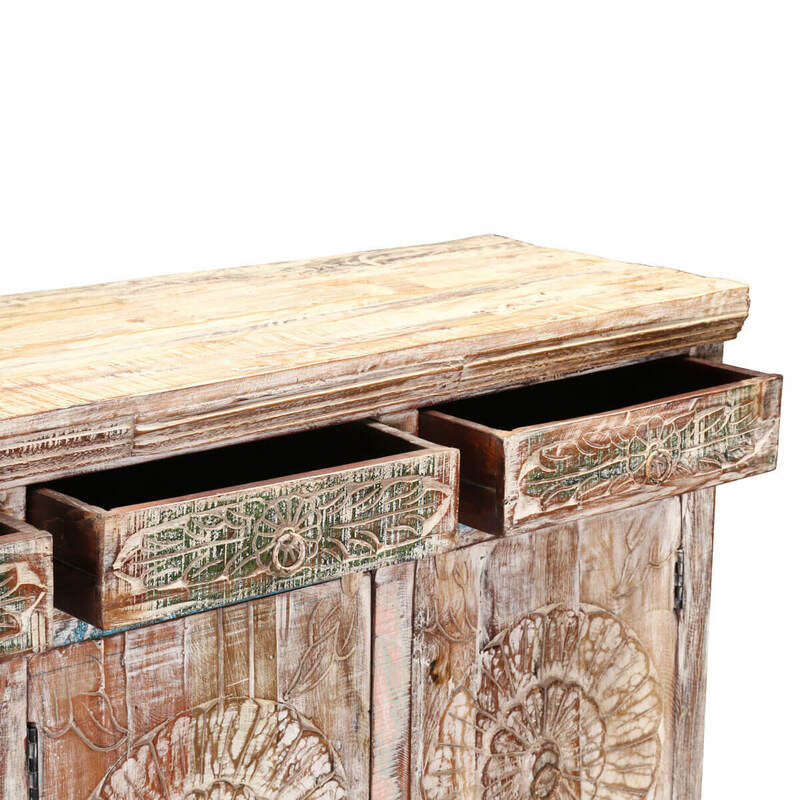 The roomy top surface makes a terrific venue for a buffet line complete with serving dishes and beverage dispensers. 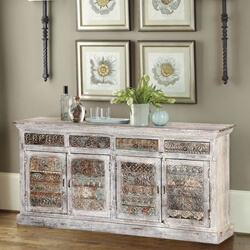 Whilst not serving guests, it makes an excellent spot for a decorative vignette.